If you’re not a San Francisco native, you’re, well, like a lot of people who currently call the city home. Though one of your Diaries editors entered this brave new world at the old Mount Zion Hospital on Divisadero, and the other has been here for two decades and counting, we are both constantly discovering gems — hidden, reimagined, or in plain view — of neighborhoods old and new. People and communities build a city, and we’re lucky to learn from each other, whether we’re standing shoulder to shoulder on Muni, in the protest line, or at the bar. One thing is certain: we all learned tons during our first year in San Francisco. Take it from reader Andy W. and his wife, Katie, who moved here a year ago. Being a new transplant these days can be controversial, but we think there’s no better time to explore what we want out of life in San Francisco, as well as what we can all bring back to it. Today marks Katie and my one-year San Franciscoversary, and I like to think I’ve learned a few things about this complex but amazing city, beyond your basic “DON’T CALL IT SAN FRAN” citywide mandate. 1. People who live here mark the passage of time by commenting on all the restaurants that have closed, and the inferiority of what has replaced it. 2. Some parts of the city smell like pee. Some parts smell like flowers. Sometimes at the same time. 3. It only took me a year to compulsively carry a light jacket or hoodie with me where ever I go. No matter how hot it is. BECAUSE YOU NEVER KNOW. 4. If you wear a bright blue article of clothing, people assume you’re a huge Warriors fan and are suuuuper nice to you. 5. There are incredible breathtaking views at the end of so many streets. 6. Even for someone with as much privilege as I have, it takes an enormous amount of intention to live here. It takes a lot of energy to move around this tiny, 49 square-mile city among 850,000 of your neighbors. 7. It’s worth it. And I still have so much to learn. Andy also runs a blog about pencils! You can find him at @woodclinched on Twitter. So, what did you learn in your first years here? You too can add an entry to our collective journal. 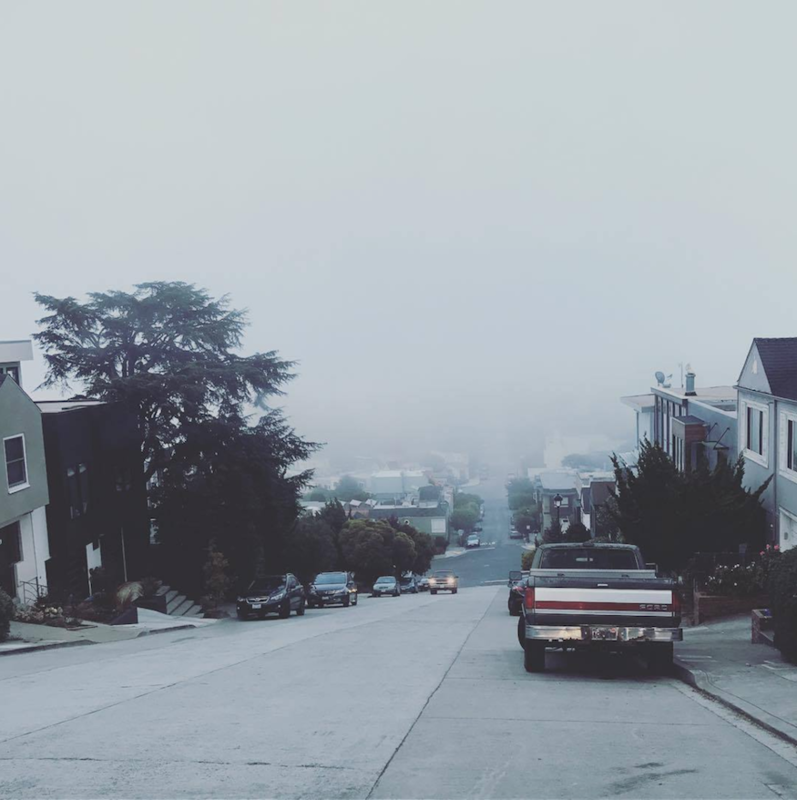 San Francisco Diaries is looking for your personal stories about what it means to live here, and what makes our city “so San Francisco.” Tag us on Facebook, Instagram, or Twitter. Our email inbox is always open!